Been heads down writing, commercial development, life & course dev. I am now lecturing on (and running one of) two Multi Platform courses in Sydney, plus just out the other side of a big personal move to a new part of Sydney. All this combined with other blogs I am group posting on (eg: transmediadesign.org) and lil old twitter becoming a good micro-blogging, link alternative means this blog is starting to be devoted to article, resources or richer content – when I get the time. But I have a back-log of 15 drafts that will be pushed out (excuse the pun) in the next few weeks! Also busy putting a book together called ‘Networked Media Design – Multi Platform Production’ – so some of the good stuff trickling out there, more distilled rather than the temporary stream of consciousness here – but that will all change very soon. 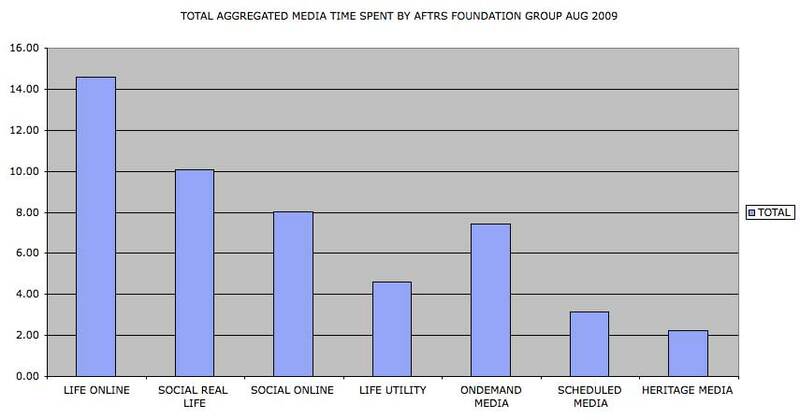 How much time do we spend with different media forms? I am with my partner’s family down in Adelaide, Australia for the hols and on Easter Sunday have just been part of a bizarre ‘new’ ritual. I say new because in the past Easter sunday may have constituted a quick morning choco egg hunt, followed by lunch, a film or two, some topical TV and even radio later in the day during meal times. How far we have come? 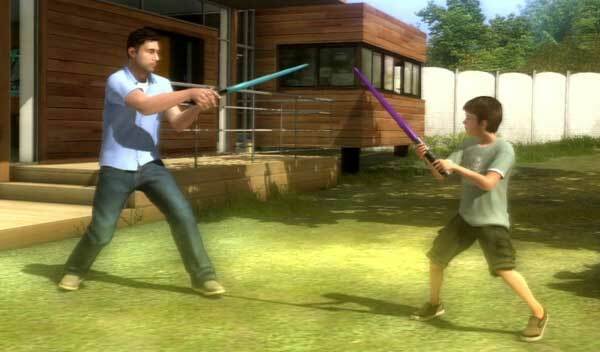 A family group of two pre 10s, three early 40s and two seniors have been gathered around the hot family PS3 playing Heavy Rain for 7 hours! Yes you heard right, from 10am to 5pm we played, talked about, watched, shouted, got emotional to a ‘video game’ – all the time discussing the next moves, ethical questions, plot points, social aspects and production value. The kids were doing most of the driving while the rest of us took the back seat giving them directions and choosing some more of the subtle ‘conversational’ or plot options. I tweeted this ‘social’ game event as Parallel Access Gaming – as in this new form of media consumption some of the family simultaneously experiencing the game as play, others as an emotional cinematic event (complete with film music & inciting narrative) with everyone cycling between, action and passive. Typical? This reminded me to do a post on another special demographic group who are often (anecdotally) associated with spending more of their daily time with cinema, the arts, TV or radio (traditional / heritage media). At several seminars I have been running over the past couple of years for traditional media creators/managers I have asked over 105 of them to fill in a little survey I devised – imagine a typical week or month and construe from that an average day spent with media & life events. So over the past week if you averaged it out, how much TV per day would you watch, how much on social networks, how much playing games and so on. The purpose of this was to see how closely their life/media time balance matched the stats I was presenting from the likes of Nielsen, Forester and other ‘notable’ research who were obviously taking larger samples than my 15 at a time and what I publish here – 120 anonymous respondents. The results were rather surprising and the age ranged from around 19 up to early 50s across heritage aspirants and established creators. 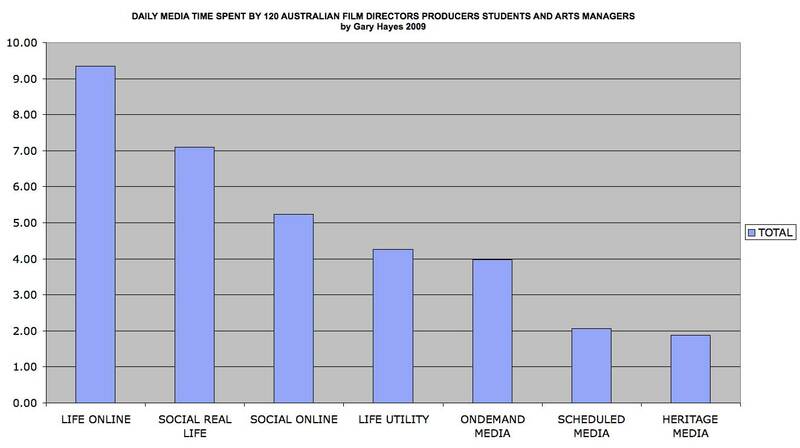 I start with a couple of charts at the Gen Y end, film foundation students which shows some detailed online time followed by my special aggregation that compares key groupings. So even though this is a small 15 person sample it has around 450 data points and the results are typical for the groups of GenY’s I surveyed (see bottom of post for key of aggregates) – that ‘social’ online and on-demand time spent dwarfed heritage and scheduled live entertainment at almost 16 hours to 5. Interesting also is that online social activity almost matches real life social events and overall time online is the dominant time use. 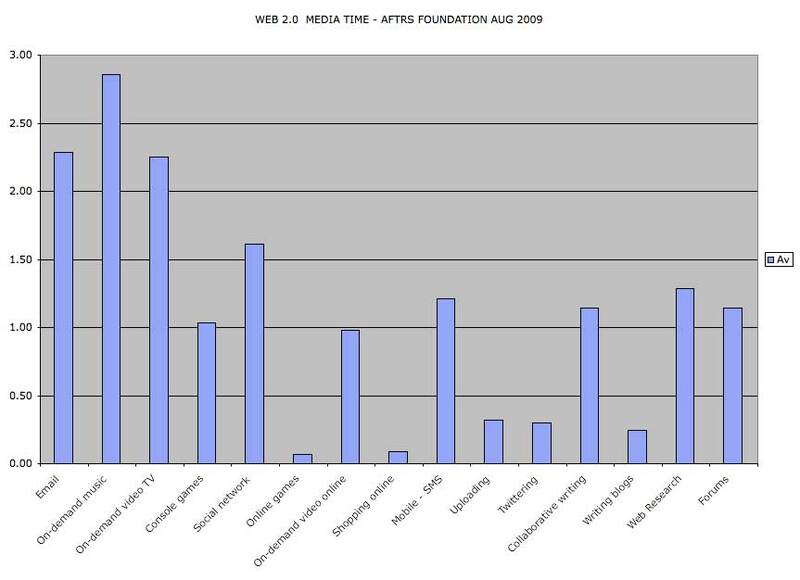 We know there is overlapping media usage taking place here of course hence a total daily time of around 40 hours (!) but it would be easy to normalize where the proportions would remain of course. Notice too some of the detail in the top diagram which was again typical for the GenY groups I tested – that social networking (namely facebook) dominate and twitter, blogging, online games and content uploading taking very much a backseat. 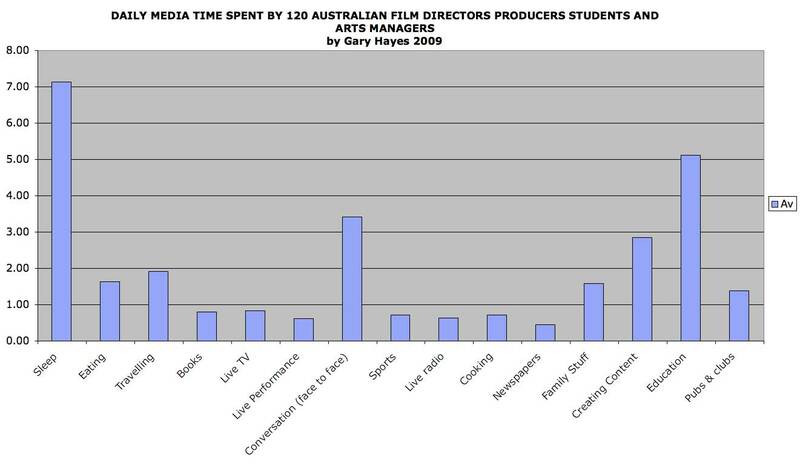 The rather obvious aspect of the 50 or so GenY’s was their on demand habits, totally dominating (live entertainment) scheduled traditional cinema or TV. 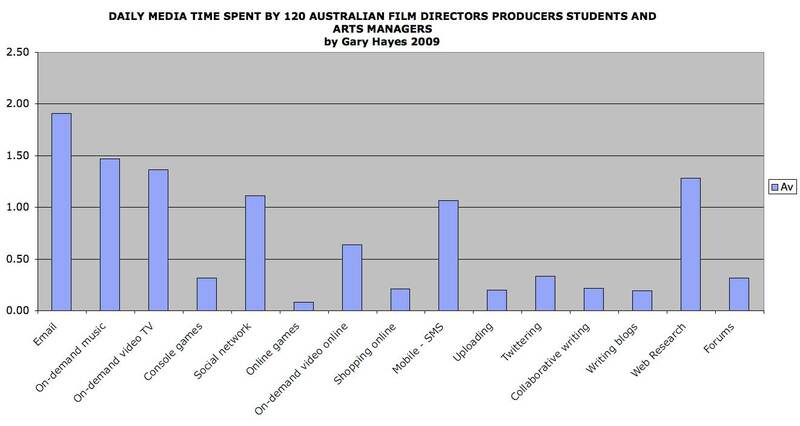 To make this exercise more meaningful and hopefully even more reflective of the traditional media creator demographic I include in the final aggregations below of the 50 foundation students combined with around 60 new film directors and producers and 12 or so performance arts managers and executives (opera, orchestra, theatre, dance, circus etc). One would expect there to be a significant shift towards heritage and live media and of course perhaps a better life online balance. The results speak for themselves. So please take this as you like. There are around 3500 data points in here and I think when we look at the proportions of this last chart things are looking quite skewed towards online, mobile and on-demand, far more than all the official statistics are seeming to suggest that our TV watching (and commercial ad) is on the rise, that we rarely go online for long periods and most media is still at the behest of the schedulers – broadcasters, film distributers and live auditoriums. If this were a group of average, non-creative GenYs I would say the sample is biased BUT and this is a big but, this sample are creatives who need as part of their profession to watch films, TV, have an active real social network life and go to the theatre often! Another obvious outcome here is time spent in the virtual spaces online and ‘mostly’ smart mobiles is always higher than the life streams. Alignment of graphic design to express the value of market demand & public interest very nice but lot of other services to compact with more apps to conducting to each site.Looking forward to the next!